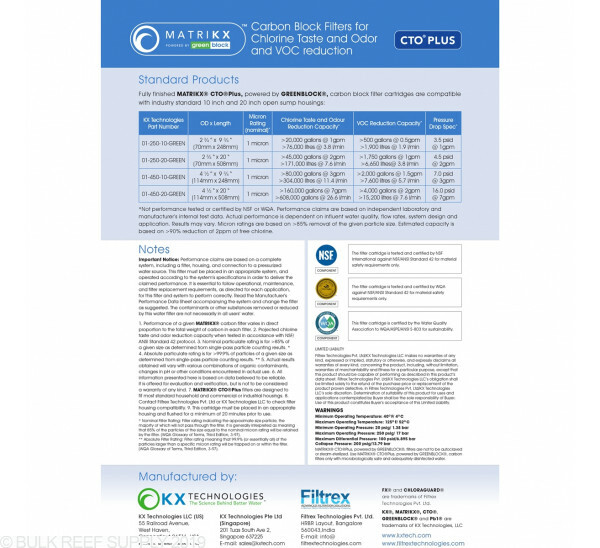 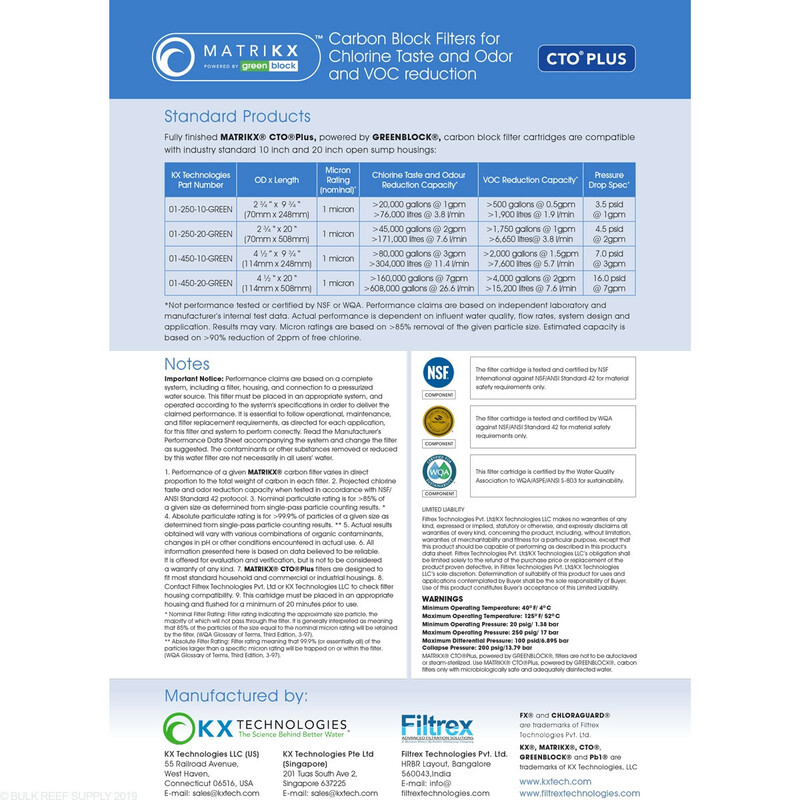 Kx Technologies MATRIKX brand carbon blocks are the most trusted and widely used carbon blocks in the world. 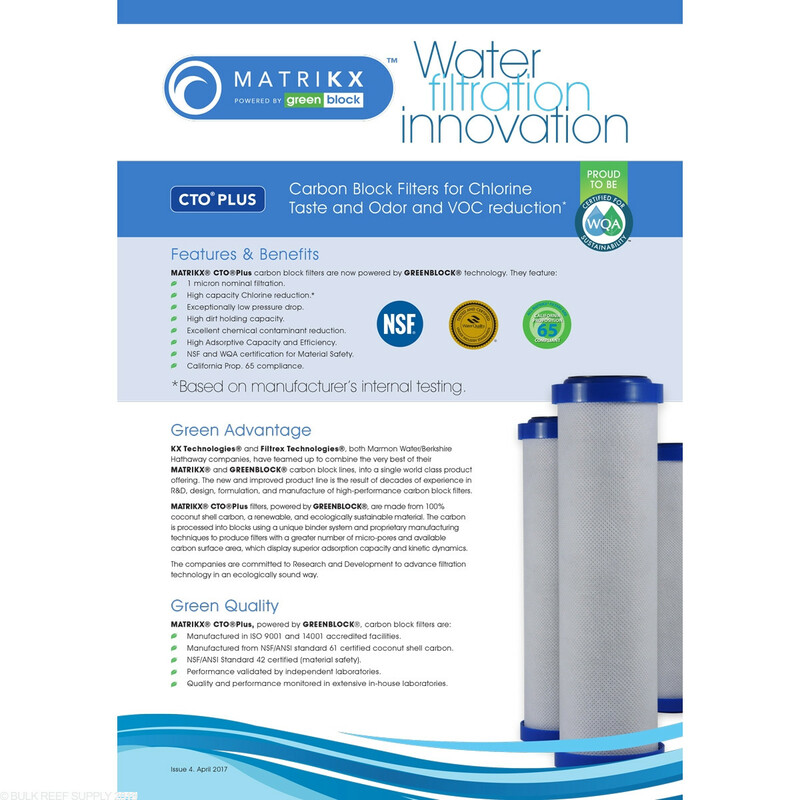 The 10” size is the industry standard and will fit our systems, as well as virtually every brand of RO system that uses similar looking carbon blocks and the 20" size, works in our legacy BRS Spartan unit along with other 20" RO systems. 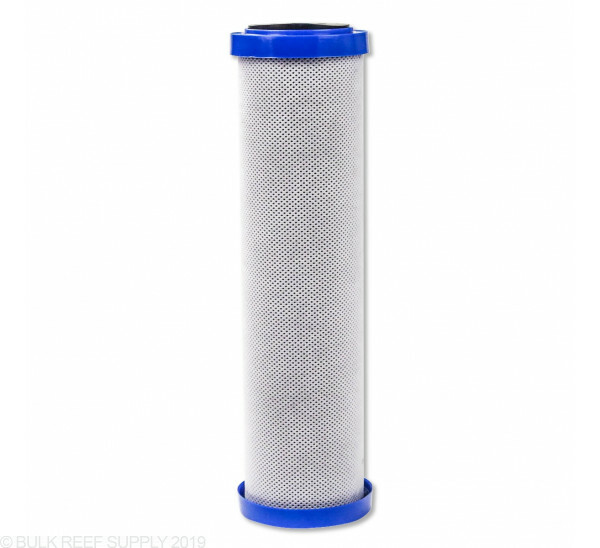 If your system utilizes two carbon blocks we recommend installing the 5 micron CTO in the second stage after your sediment filter and the 1 micron CTO PLUS in the third stage. 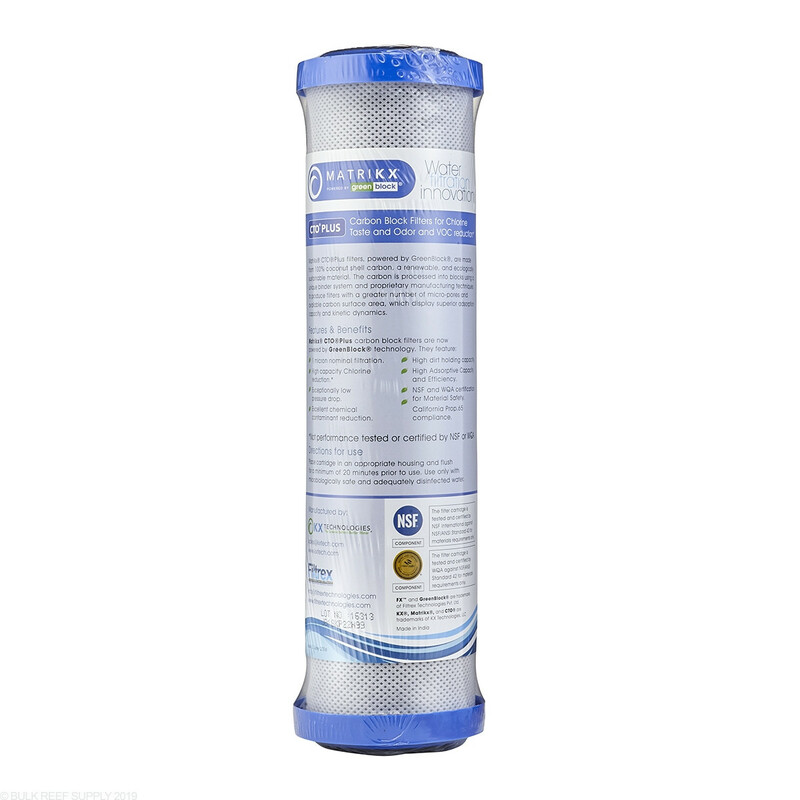 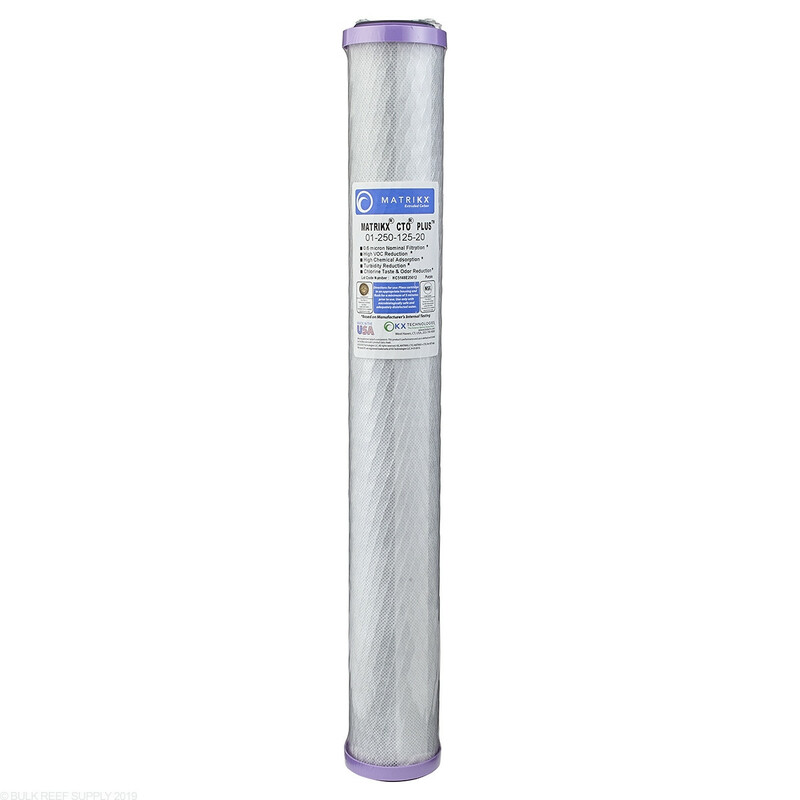 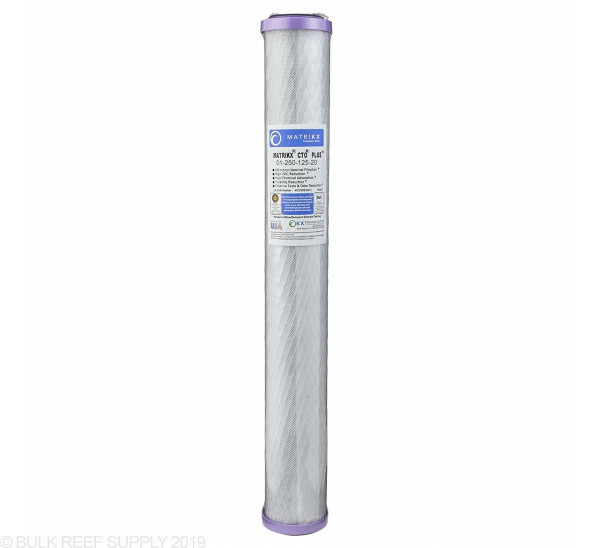 Available in 10" and 20"
*You may use a 1 micron CTO PLUS in a single block arrangement, however, depending on pre-filtration and sediment content of your home's water, it may clog faster than you would like. 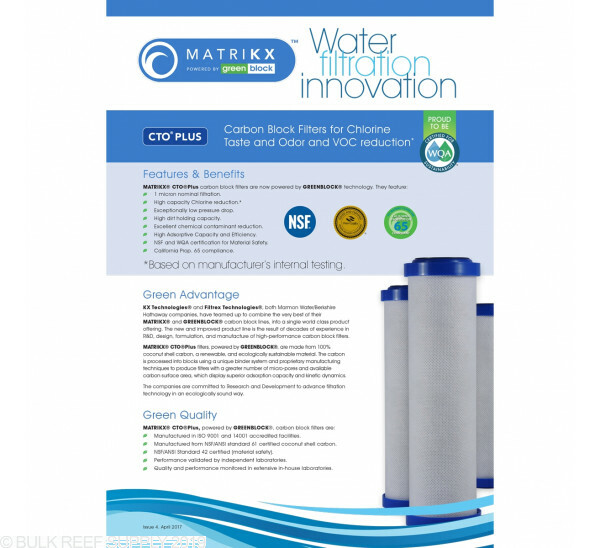 *** This is a total of all water processed and includes product water as well as waste water. 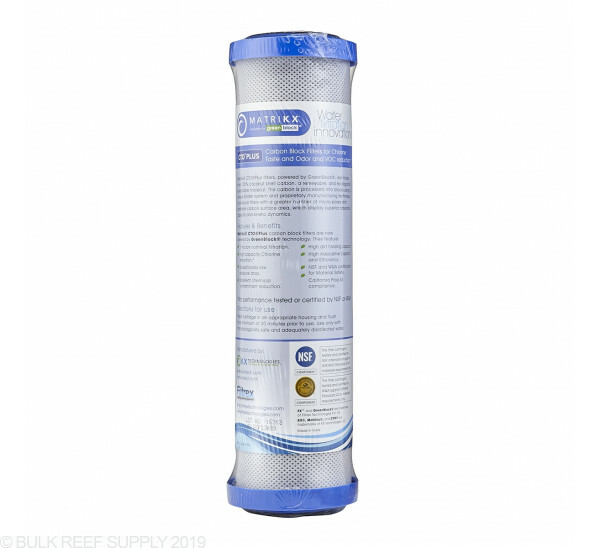 If you find you are not getting the full life out of the carbon block it is likely due to a large volume of sediment in your homes water supply. 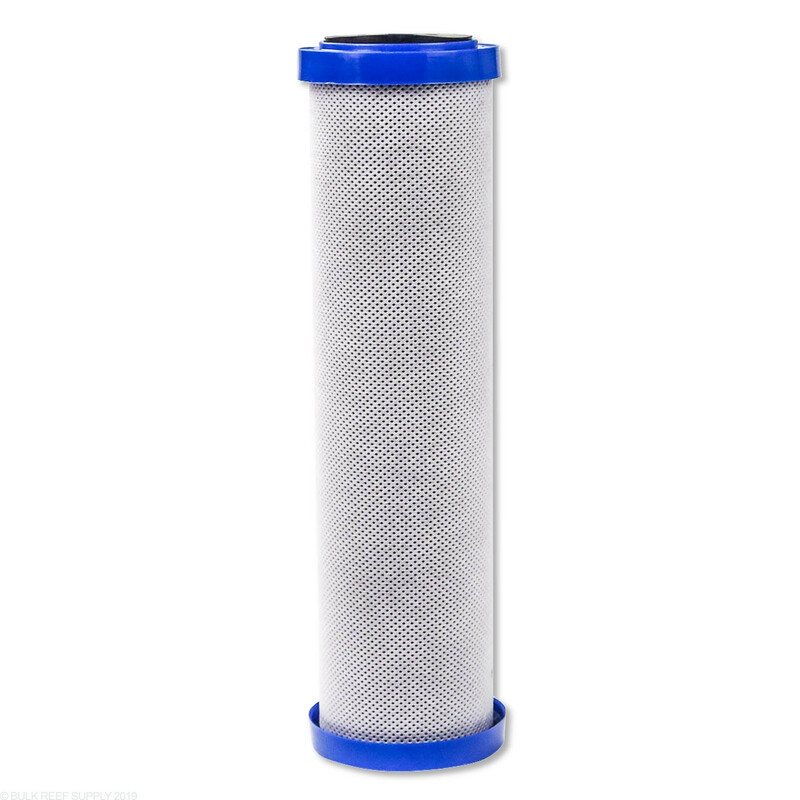 Please try our ROSAVE.Z premium line of sediment filters for optimal performance.